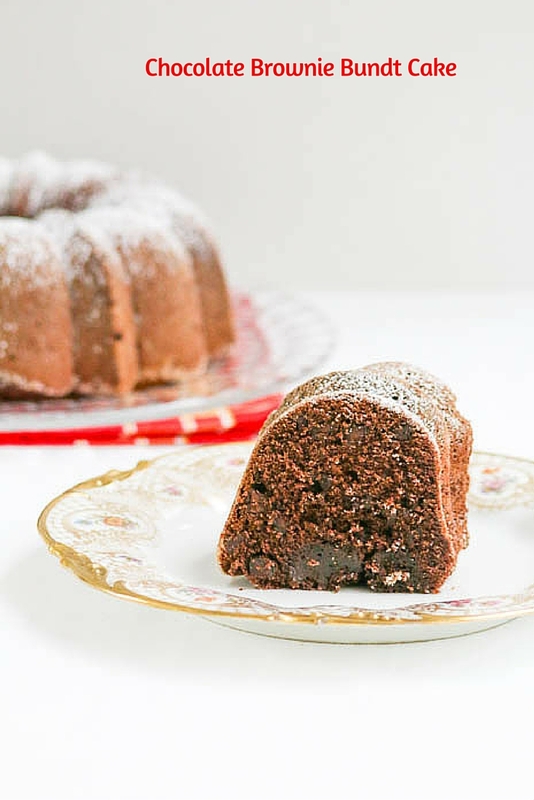 There were so many wonderful lessons learned at Food Wine Conference 2016 and one of them inspired this Chocolate Brownie Bundt Cake. As I have previously mentioned on Desserts Required, prior to the conference I would blindly buy products in the grocery store without giving thought to where they originated. Now I take the time to read labels and try to support our farmers. Amy Richardson is a Cabot Creamery Cooperative farmer along with her husband Scott. They, along with three generations of Richardsons, care for a herd of 120 Jersey dairy cows in addition to running a delicious maple syrup operation. 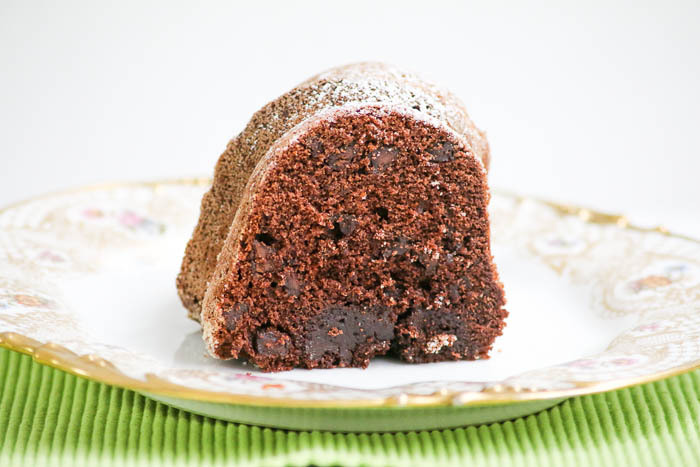 There were a lot of great stories and tips about life on the farm shared at the conference but it was actually Amy’s very casual comment that prompted me to create Chocolate Brownie Bundt Cake. Amy said that Cabot Creamery’s Greek yogurt recently beat out the competition to become the best Greek yogurt. I have been eating another brand’s Greek yogurt for quite awhile and decided it was time to give Cabot a try. I loved it so much that I decided to do something I never thought I would do….I baked with it! I used Greek yogurt in the recipe where I would have added sour cream. Guess what? It worked, beautifully. 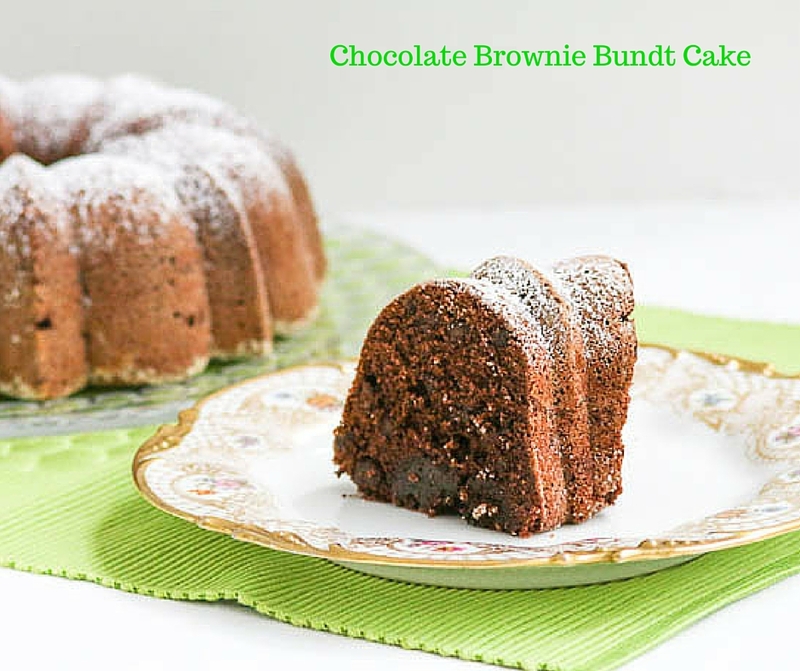 Chocolate Brownie Bundt Cake is fantastic. I know most people think pound cakes are heavy but this one is not. The chocolate within is reminiscent of a batch of brownies. Thus, the perfect name. I used 10% plain milkfat Greek yogurt and strongly recommend you do the same. Cabot Creamery only comes in a large tub size so I enjoyed the rest of it with fresh fruit. Granola would also be a nice addition. This post is not sponsored by Cabot Creamery. I was just so intrigued by what I learned that I had to share it with you. A chocolate ganache drizzle would also be lovely over the top of the cooled cake. Preheat the oven to 325°. Butter and dust a 10 cup bundt pan with sugar and set aside. Whisk together the flour, cocoa powder, baking soda and salt. Set aside. Place the butter and sugar into a large mixing bowl. Cream the mixture until light and fluffy. Add the eggs, one at a time. Transfer the batter to the prepared pan. Bake at 325° for 55 minutes. Remove from the oven and cool for 10 minutes. Invert the cake onto a cooling rack and cool completely. Dust with confectioners sugar, if desired. Thanks so much, Faith. It is mighty fine!! I’m curious. Is it the Cabot Yogurt that really makes the cake special, ’cause I don’t know if they sell it where I live? I have emailed the wonderful people at Cabot to find out the answer to your question. I know that some of the Cabot Greek Yogurt is sold in Publix but I am double checking about the 10% milkfat one that I used in my cake. The Cabot Greek Yogurt really did help to make this cake special. I’ll get back to you as soon as I find out the answer. I made it tonight to bring to a group for June birthdays! It was a huge hit! I will definitely make it again! You made my day, Debra! I am so happy to read this. Beautiful CHOCOLATE BROWNIE CAKE. Will definitely be on my to do list, Besty! Thanks so much! I am sure you will be very happy once you make it! Greek yogurt substitutes for sour cream nicely in baked goods. I have used yogurt in coffee cakes and muffins before with great results. This cake looks delicious. 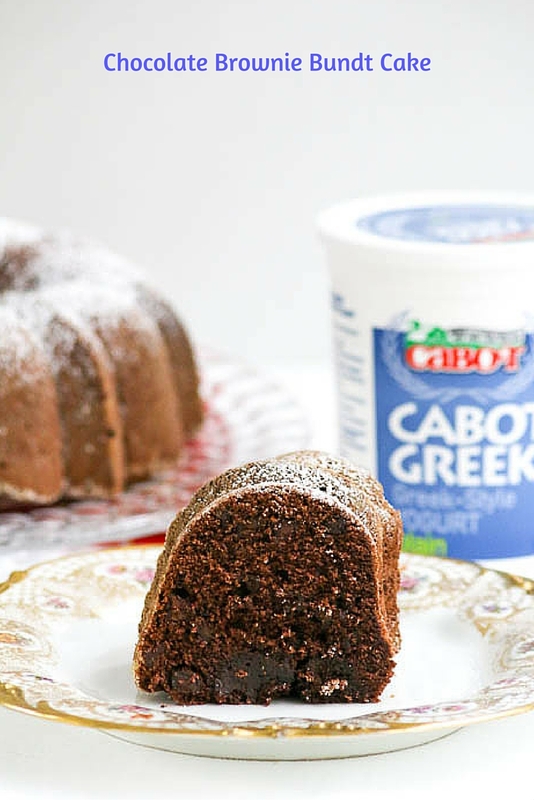 I love Cabot products, we purchase their cheese, sour cream and yogurt all the time, and this cake looks amazing! Now you have another recipe to add to your repertoire of Cabot products! This looks fabulous! I think my entire family will LOVE this, can’t wait to try it!!! Thanks so much, Angela. I hope they love it as much as mine! I love, love its texture! This cake has my name written all over it! Adding yogurt to baked goods is a great way to keep the cake moist! Can’t wait to try this recipe it looks delicious!